The first step in creating wealth is committing yourself to the habit of saving. However, the steps and decisions that follow on from this commitment can be daunting, especially in light of the multitude of different product and investment options in the market. Investors may be tempted to “go with their gut feel”, opt for what they already know or ask friends for advice. This article provides an overview of the key components in making savings decisions, to shed some renewed light on what might otherwise be a daunting journey. The product ‘wrapper’ or ‘vehicle’. This component refers to the type of product – for example, saving using a retirement annuity, an endowment, a voluntary investment product or a tax-free savings account. The choice of underlying investments or holdings within the investment vehicle, including a range of possible choices, like share portfolios, exchange traded funds (ETFs) or unit trusts. Conduct a financial needs analysis, which takes your current financial position and current life stage into account. 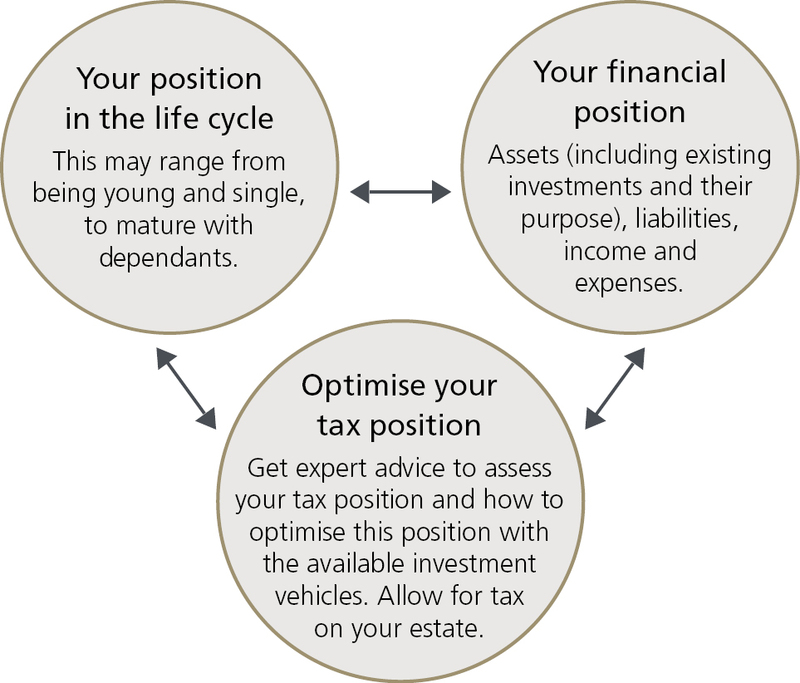 Understand your tax position and optimise it by investing in an appropriate investment vehicle. Understand your own attitude to investment risk - for example, how much volatility you are comfortable with. Form a clear idea of your investment time horizon. Consider the costs of the underlying investments. While for many investors, investment decisions may be strongly focused on attempting to choose the best performing fund, it is paramount to start by choosing an investment vehicle that suits your circumstances and goals. Investors on the PSG Wealth platform can choose between retirement annuities (RAs), endowments, tax-free savings accounts and voluntary investment products. Your savings goal is one of the key considerations, but the next big factor to consider, the selection of a product wrapper, is mainly dependent on your personal circumstances. These are usually best understood by getting professional financial advice and performing a financial needs analysis. The key components are illustrated below. There are many possible options when it comes to choosing an underlying investment, including unit trusts, money market funds, shares, exchange traded funds (ETFs) and index tracker funds. The three considerations for choosing the underlying investment are given below. Risk required: the investment risk that needs to be taken to achieve the desired outcome. For example, if a higher investment return is required, this implies that in all likelihood a riskier asset class needs to be chosen. Risk capacity: the level of financial risk you can afford. This should be determined taking your other financial resources into account. Risk tolerance: being a subjective measurement, it aims to get you thinking about your emotional willingness to take risk. Equating this to sports, the question may be: are you a base jumper or a chess player? There are many risk questionnaires available online. However, these questionnaires by no means represent a perfect science. The answers provided could be influenced by an investor’s recent personal experience, and also typically don’t factor in the investment return you need to earn to achieve your goals. Don’t disregard the guidance of an expert when it comes to determining your risk profile. Keep a record of the results of your risk profile assessments and the discussions you have with your adviser. It may help to revisit this profile periodically, in particular in times when your investment is doing exceptionally well or exceptionally poorly. This can provide perspective and thus keep you on the right track by helping you avoid making emotional short-term decisions. The investment time horizon refers to the time period you will be invested for, and must be considered together with your risk profile. For example, a longer investment time horizon generally allows an investor to invest in assets with a higher risk return profile. Cost is a key consideration in selecting the underlying investment. Use the effective annual cost (EAC) measurement to compare the costs across product providers: investment management, advice and administration costs. Weigh this up against the value you get – for example, the quality of advice and the service you get from the administrator. It is important to stay disciplined throughout your savings journey. Remember not to make emotional changes to your portfolio along the way. Doing so may well end up undoing the good work achieved through your savings discipline. Your circumstances are likely to change over time. It is therefore sensible to review your savings journey on a regular basis, by revisiting the key components above.